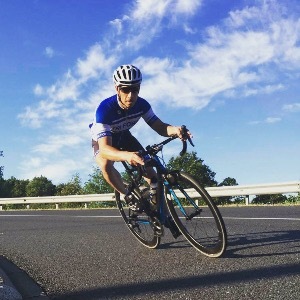 2 experienced, qualified coaches on mission is to provide you with the most up-to-date nutrition and training principals while teaching you the foundations of training and fuelling for Triathlon, Cycle Cross, Road Cycling and Time Trial Racing that gets RESULTS. Our goal is to provide you with experienced, qualified advice and helpful, friendly support so that you get the best from your training and nutrition and learn the EXACT ways to look and perform your best. I've been in the fitness industry for most of my life, from competitive swimming at an early age to racehorse jockey, adventure racer to Iron man. I'm a 2 x award-winning personal trainer, sports tutor, triathlete, lover of all things bike and ice cream. All of these amazing experiences -- my time spent coaching, learning, attending courses, seminars, reading books, testing training principles and connecting with coaches far better than me – helps me, to help you, get the best from your body and mindset in the healthiest, most sustainable way possible. Billy Harris: Head Coach, Strength and Conditioning Coach and cake connoisseur. At school I discovered a natural ability in ball sports and played professional rugby, National 2 Level at the age of 17. At Cardiff University I studied Strength and Conditioning and Rehabilitation. It’s here I started to coach players at the Bristol RFC along with other very talented age group triathletes for 70.3 races and Ironman. My biggest achievement to date is completing Ironman Vichy France in 9.46. Thing is none of the above really matters. You just want to know if we can get you RESULTS. So, If you’re willing to put the hard work in we’re ready to do the same. Success. Coach Tri Force Endurance has been notified of your message.